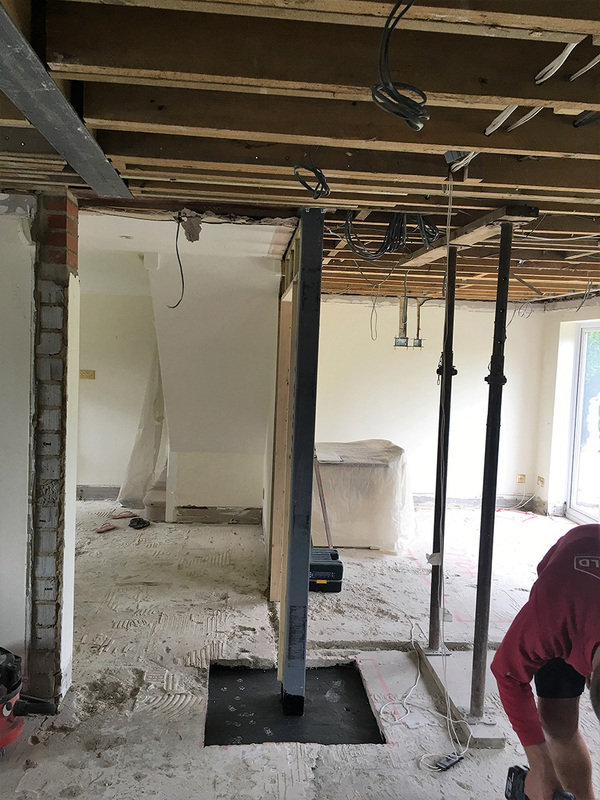 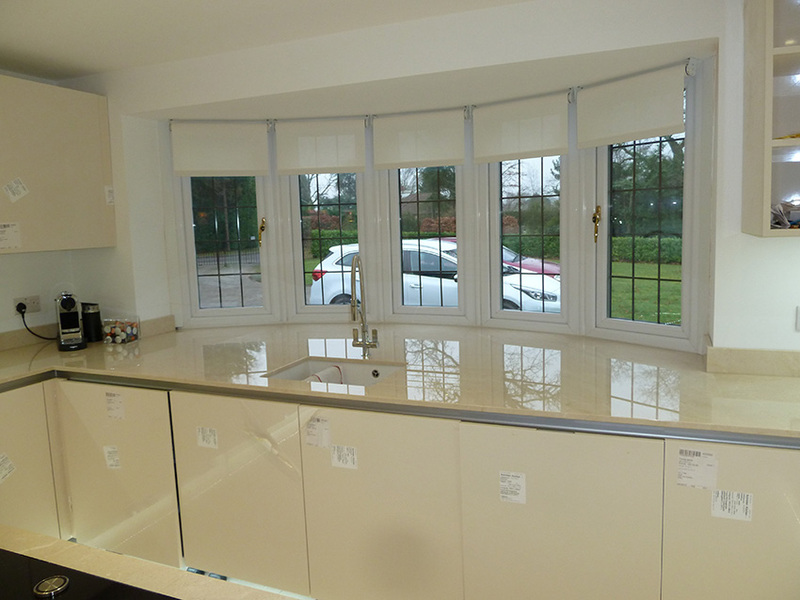 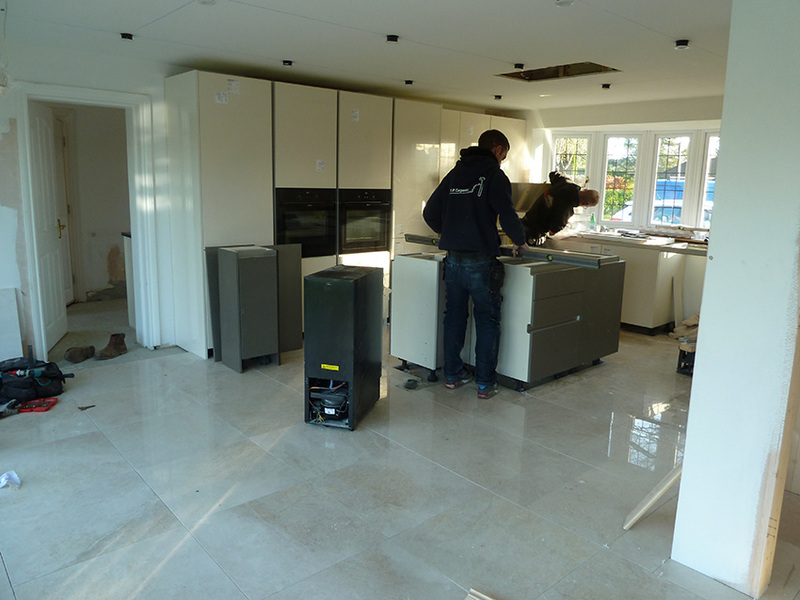 The conversion and kitchen relocation from the rear elevation to the front. 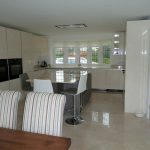 Instead of small isolated rooms that is typical of a 1970 house, the client wished to create a large modern open plan living area. 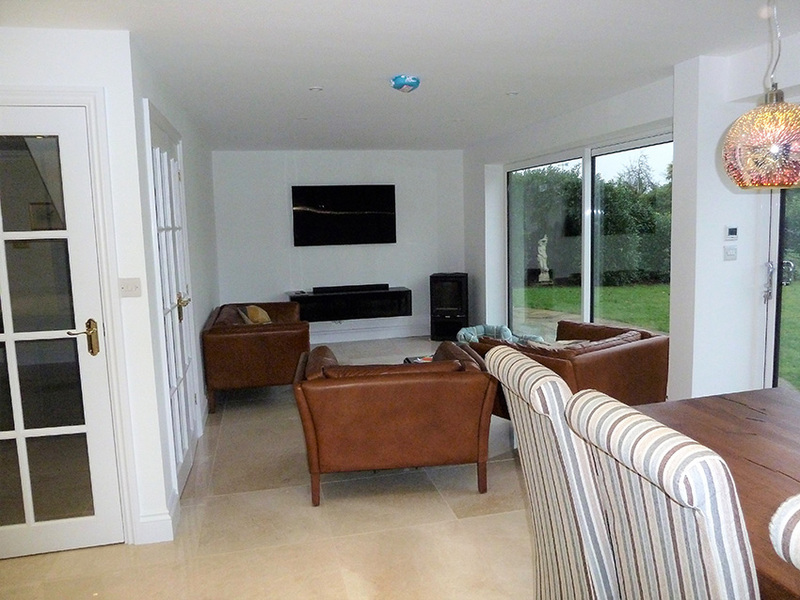 The areas were still split into zones by the inclusion of furniture. 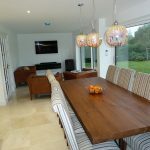 The kitchen flowed to the break fast table and then on to the snug area. 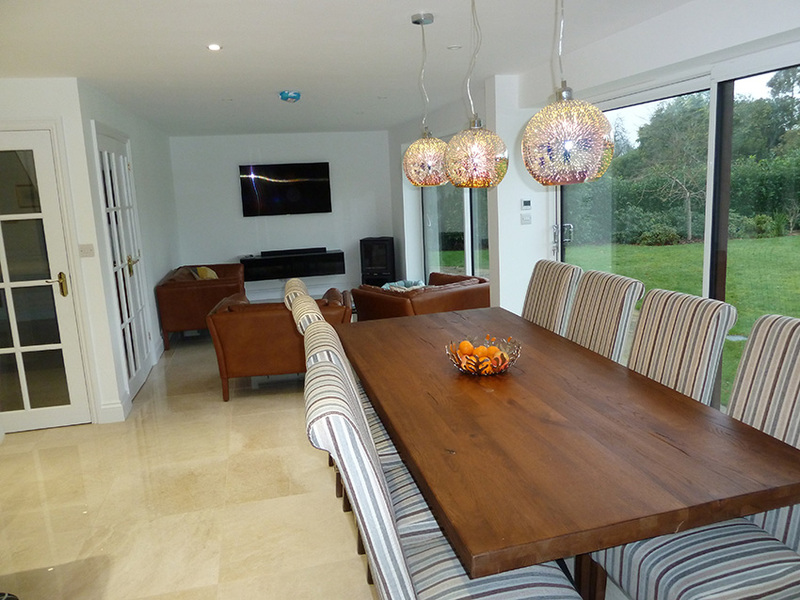 Lighting was installed throughout which included ambient architectural and task lighting. 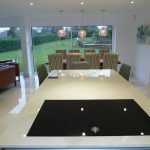 The Lighting was used wisely to enable the zones to flow and work together. 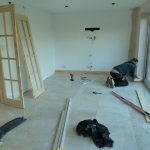 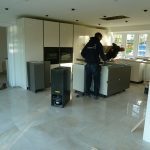 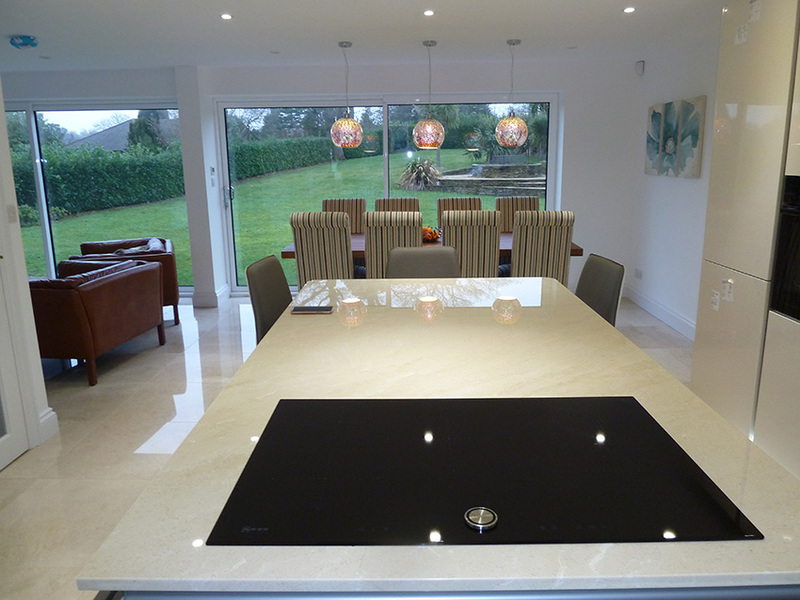 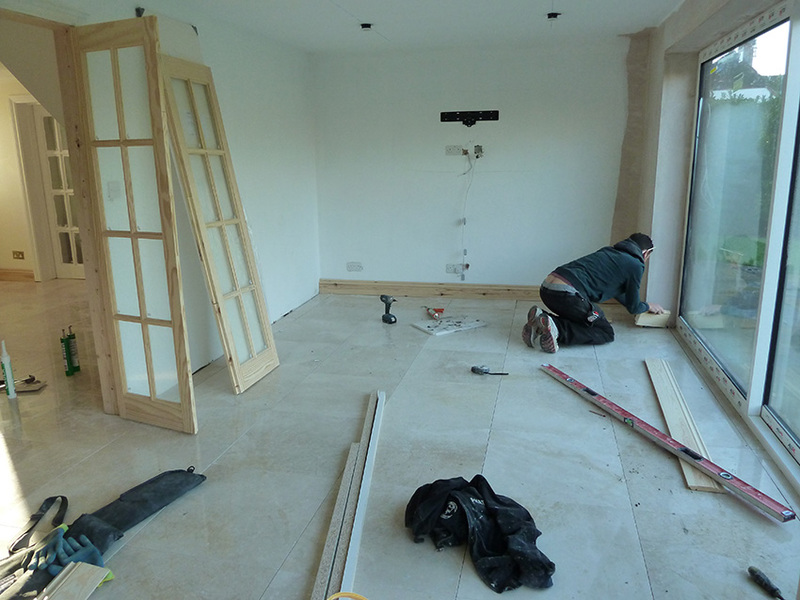 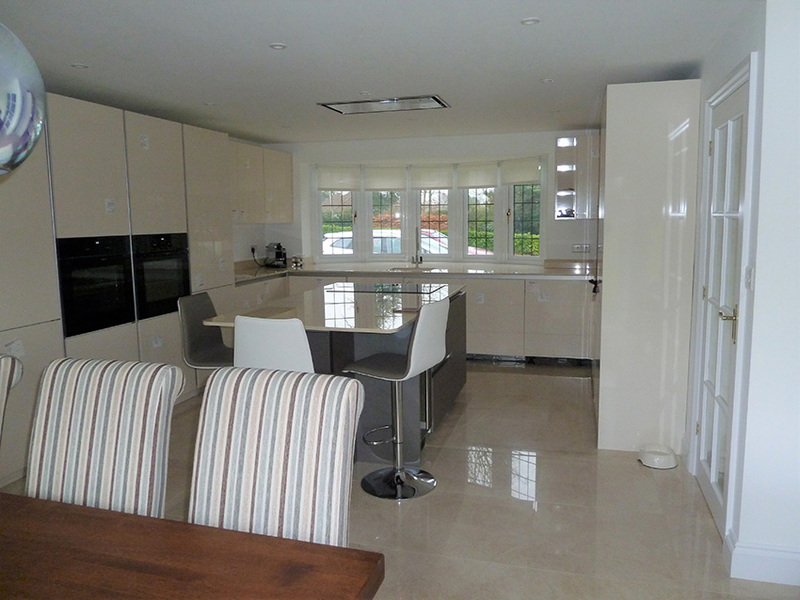 Under floor heating combined with a marble tiled floor provided a seamless continuation. 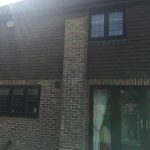 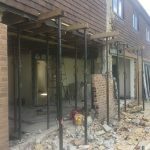 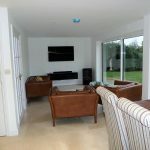 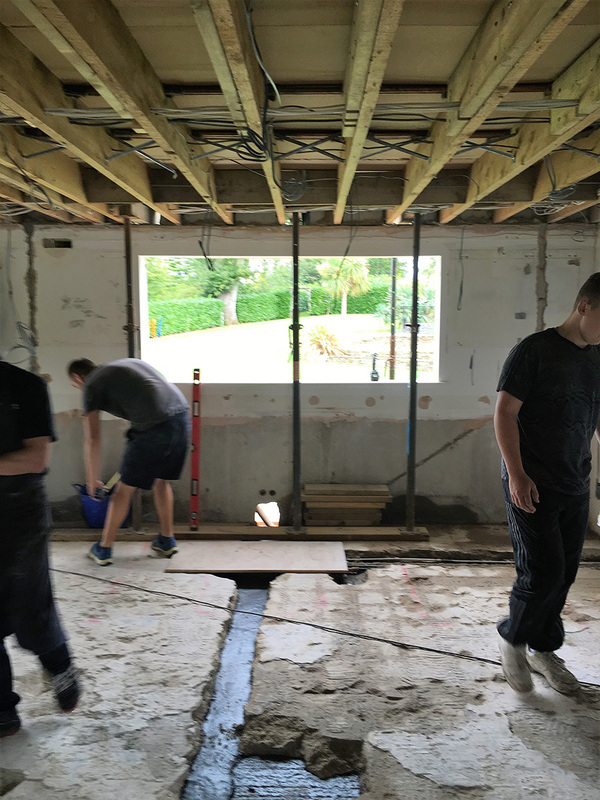 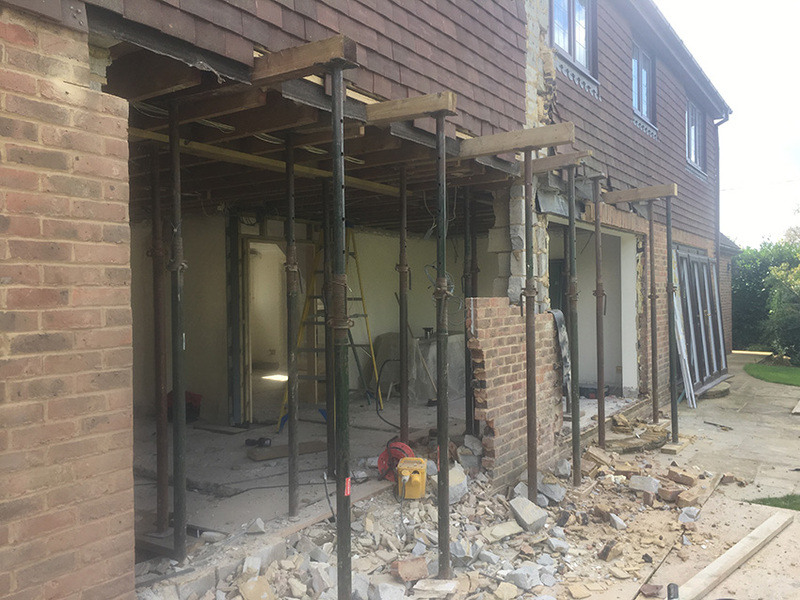 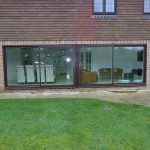 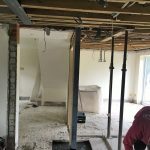 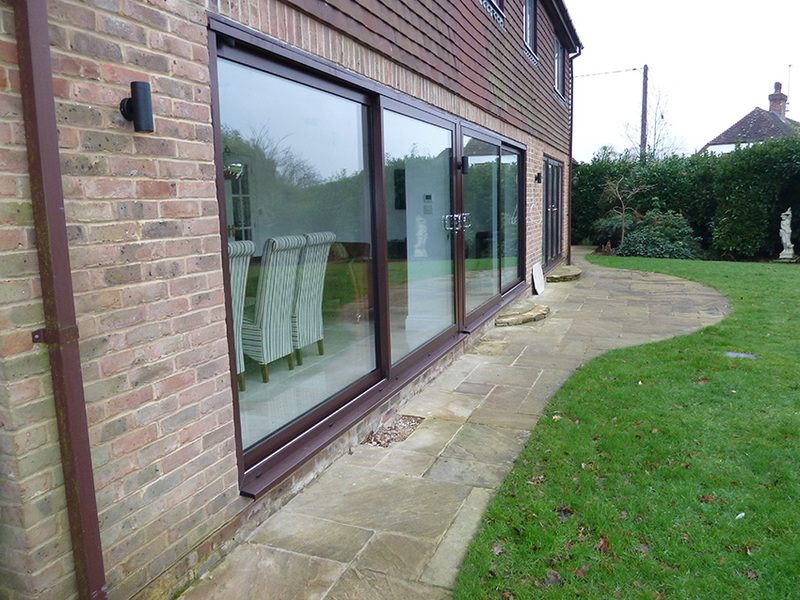 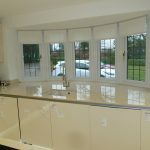 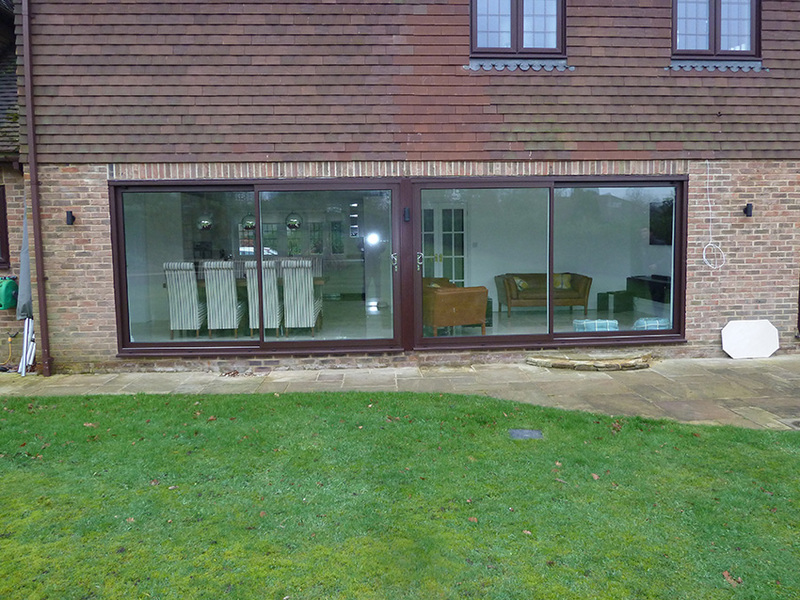 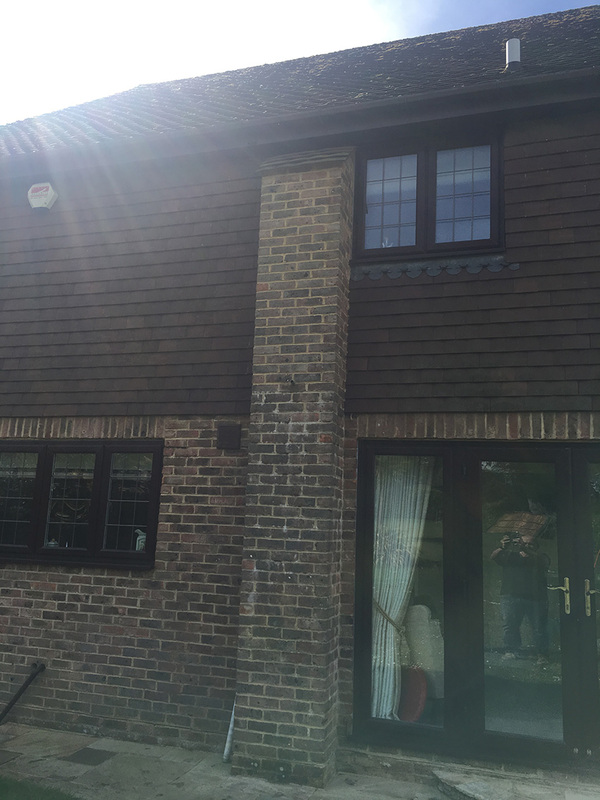 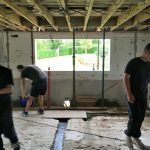 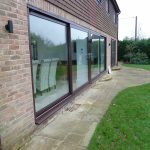 The existing tired patio doors were taken out, a much larger opening was formed to accept aluminium powered coated sliding doors that created a perfect uninterrupted view of the garden.